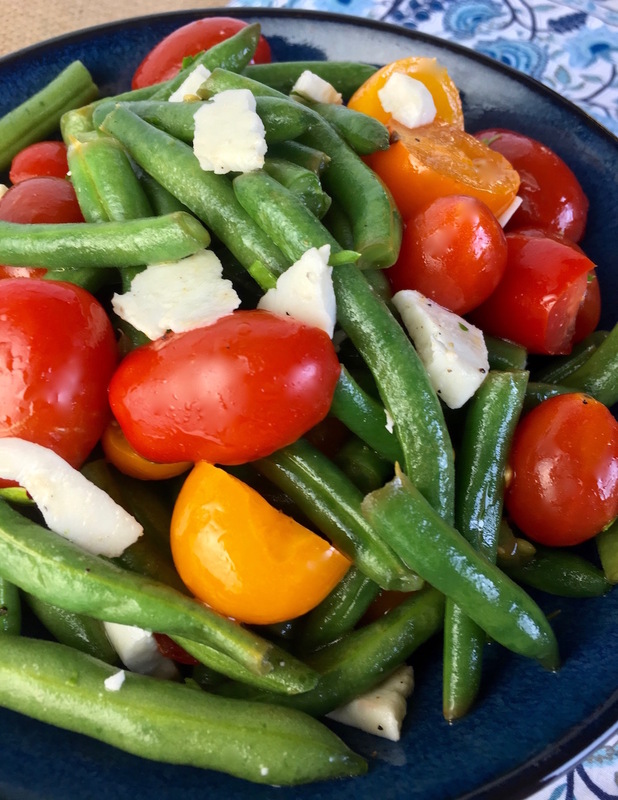 This versatile gluten free salad combines garden fresh herbs and veggies with the delicious salty flavor of Feta cheese. As an added bonus, it takes less than 20 minutes to put together and can be enjoyed either warm or cold. Over high heat, bring a large pot of salted water to a boil. Add green beans and cook until crisp tender, approximately 3-4 minutes. Drain the green beans and then transfer to a large bowl of ice water to prevent further cooking. Remove green beans from the ice bath and pat dry before adding to a large glass or other non-reactive bowl. Add the tomatoes, basil, parsley, olive oil, and vinegar to the bowl and toss to combine. Season with salt and pepper, to taste. 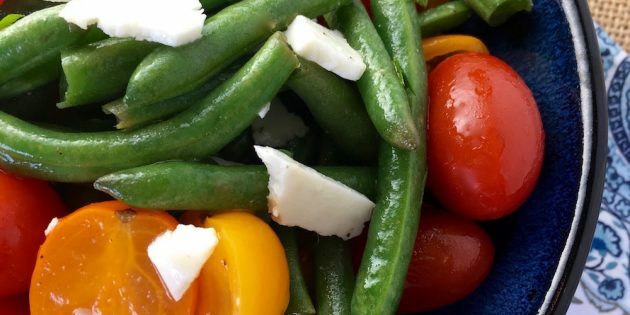 Gently fold in crumbled Feta cheese and serve immediately. Salad can also be chilled and served cold. If you click on any of the links associated with this post we will receive a small commission!! Thank you for your continuous support!! This recipe turned out fantastic!! I used my All-Clad 4 Quart Pot. 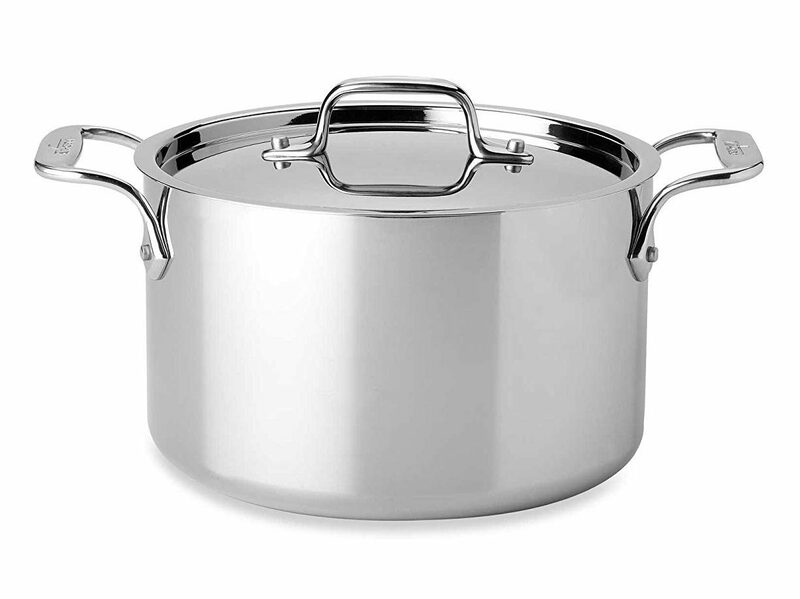 All-Clad is professional quality cookware. These pots are nonstick and easy to maintain! All-Clad pots and pans are made with all stainless steel construction and are oven and broiler safe and also work on all cook tops including induction cook tops. These pots are super versatile and durable! Click on the link or picture to check them out for yourself!! 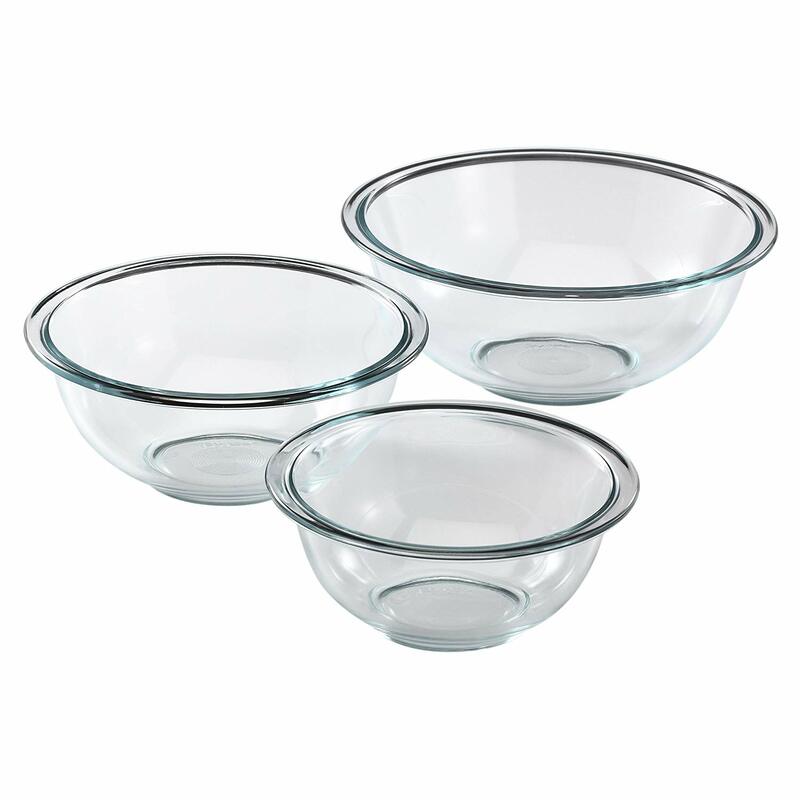 For a good set of mixing bowls I used the Pyrex Mixing Bowls. They are perfect for melting chocolate along with many other applications. They are also not badly priced and come in a variety of different sizes. Click on the link and get some for your kitchen.